They say the way to a man's heart is through his stomach so I can't think of a greater gift idea this Father's Day than a tasty meal! 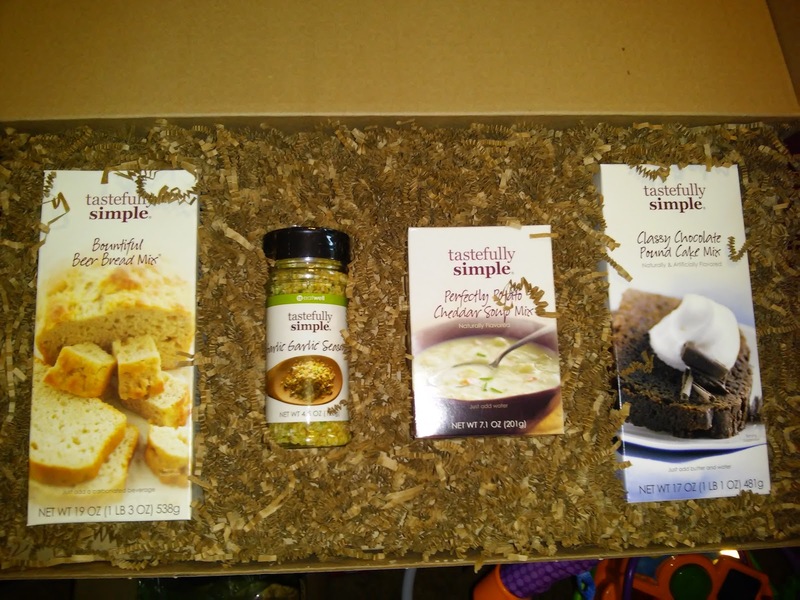 Tastefully Simple is here to help you with their great food items and meal ideas! They are so easy to make and taste so great! Tastefully Simple has tons of amazing products available online and through consultants. Everything from food to utensils, gifts and recipes. Mix up a homemade meal from the heart with four of their best-loved products. This great gift idea features Bountiful Beer Bread Mix®, Classy Chocolate Pound Cake Mix, Garlic Garlic Seasoning, Perfectly Potato Cheddar Soup Mix and is perfectly packaged to make it a great gift! Most men love to grill so this Grill 'n Tote makes the perfect Father's Day for grilling man in your life! They include the perfect sauces for any cookout and a versatile caddy for your condiments, napkins and utensils. You can purchase these items (and MANY MORE!) from the Tastefully Simple website. Tastefully Simple is generously offering (1) Bountiful Beer Bread Mix and Classy Chocolate Pound Cake Mix to a lucky winner!